Who Wouldn’t Want the MLB Dream Job? I was pleasantly intrigued. extremely excited, and definitely interested when I got a friendly nudge from a few MLBlogs.com friends telling me I should apply for the MLB Dream Job position. I gazed for what seemed like an eternity at the MLB.com page outlining the responsibilites and qualifications for this hallowed MLB position. Even the red boldfaced type headline prompting me to “Live Every Baseball Fan’s Dream Job” just kept my heart skipping and palpitating like Ricky Ricardo playing those Babalooon bongo drums. This was the type of job within MLB hierarchy I had daydreamed about countless times in my 20’s usually while sitting at the copy clerk desk writing game summaries and doing proofreading duties for my human interest sports articles. But this 2011 MLB position had an exciting and grand social media twist. Certainly the technology aspects of the posts is not a roadblock for me. I love trying to find 140-characters to describe or even condense an emotion or action. I instantly knew that I had to apply as soon as possible for the position I was born to hold. To say I was anxious when I began to input my information onto the MLB application would be an understatement. This is definitely the type of job I would have gone solo into the Octagon, even against Chuck Norris and fought to the death in my 20’s. Heck possibly in my 30’s. The aspect of watching MLB games today has evolved into an alternative life form since my first taste of baseball back in the mid-60’s, but that evolution of technology only makes me salivate more, and want this position. 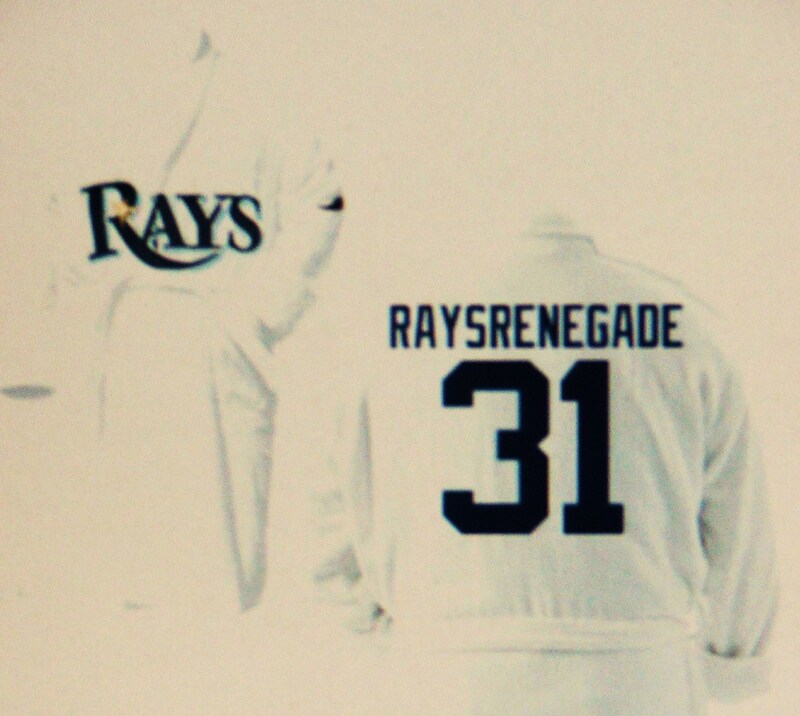 This one depends on who you ask, but I think I have some mad skills at times, plus I already have a blog reader base (thanks to the MLBlogs.com community & the Rays Republic). Ranking consistently in the Top 10 on the “Latest Leader List” has to be a cherry on top. I think I can articulate and talk with the best of them, but I am not that “stat” driven baseball guy. Sure I like the quirky side notes and interesting factoids about MLB players or teams, but I can talk you ear off. You kidding! I pride myself on having Media Guides, hand-outs and even a few personal tidbits at my side at the ready. Multi-tasking…when was the last time you saw someone outside the Press Box in the stands writing during a game and actually cheering…Check mark! * Must be a baseball expert. Here is a grey area. I have a good knowledge of the history and rules of the game, but I learn something new every day about baseball. I feel having an open mind or a varitable sponge at the ready makes me a stronger fan. I go into games and situations with a open objective. That translates into a more positive results, and a fresh pair of eyes. I actually think being a baseball expert limits you ability to adjust and flex your mind. * Must be comfortable in front of the camera and be able to present a positive public image. 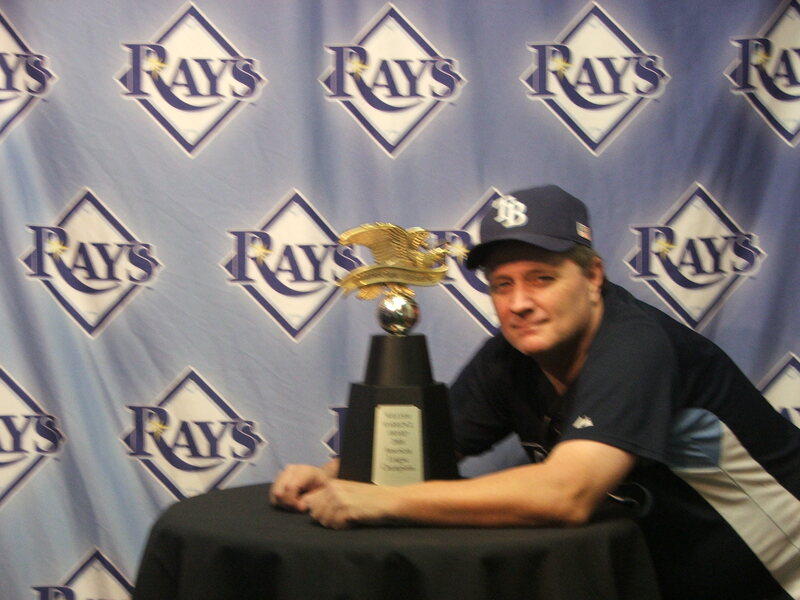 Well, I have been in photos, and videos for the Rays in the past, including a speaking role in “Braveknobs”. I have more of a face for radio, but I am all for the camera….Bring it on! * Must have a witty and creative personality. You are talking to the Rays fan who wants to print up “Garfoose Crossing” signs for the regular season. I love coming up with small interesting ideas or even venturing into small projects that tend to show my diverse range of story directions. I like to write myposts once,proofread them, then post. * Must complete a background check to the satisfaction of MLB. I have not even gotten a speeding ticket since 1999. Not saying I am as clean as Mr. Cleans white T-shirt, but there should not be anything in my past that would pop a huge red “X” upon my character…allegedly. From there the position goes into specification of having to live within the Big Apple for the entire MLB season. Now even though I love my Rays within an inch of my own existence, a job like this only comes around once in a lifetime. I guess if selected I can have some sort of optimistic “Empire State of Mind”, but I will gaze upon the Rays from afar nightly ( I promise). Who in their right baseball state of mind would not jump at the chance to see all MLB regular and postseason contests either by video or in person….No one! That bit in that paragraph about “must be present” at the games, if I had the MLB Dream Job position, stadium security might be the only ones keeping me away from a game. But then I always have MLB.TV if that happens (lol). I would be as giddy as a school girl if I had the credentials and ability to cover, ask questions or even be a part of any press conference, media event. Imagine evn getting a opportunity to possibly sit on the grass at the 2011 All Star Game during the State Farm Home Run Derby and listen for that crack sound of the ball speeding off the bat from field level…Can you say once in a lifetime. There is this funny sentence that states I “must share thoughts regarding games and topics of MLB interest via daily blogging, vlogging and through social media platforms. Do they know me? I am a budding social butterfly of the social networks. I currently post every day on MLBlogs.com, plus just past a huge plateau (1,000th post and 500,00 page views). Social media will not be a hindrance in any way. Heck, this position is a huge platform to get my overall baseball views out there. Count me in an that with a vengeance. I think my writing has transformed a lot during my time at MLBlogs.com. I love to write about charity events, concerts and even the special little things that happen out of the usual fan’s eyesight. These thing intrigue me, and even if I am not selected, my style will not cease. I enjoy my little patch within the MLB World, but sometimes you have to try and spread your wings and see if you can fly. Expanding my views, location and possibly my mind is an exhilarating thought, and one I would be eager to engage. Change is what keeps us out of the muck and mud of a stagnant existence. I submitted a 500-word essay that started off with a personal experience that set my own MLB lifestyle in motion. It was about how as a young Little Leaguer I was playing the hot corner in a game and a ball hit a rock, clay, or maybe a boulder in front of me and the speeding ball took an extreme bad hop up into the bridge of my nose. My Coach wanted me to come out of the game since blood was trickling down both of my cheeks, but I screamed at the top of my little lungs, “Brooks Robinson wouldn’t come out, neither am I!” That is the basis behind my MLB Dream Job application. You only get one shot at this life, and if you balk, take a step back or falter for a moment….something gets by you and it is lost forever. Maybe that is why I yearn for a chance at this position. I gave up my journalistic dream because of a family situation and I am reminded of it every day. But I found the strength again to write, to give my opinion, to seek out the unknown and known facts of the game to educate, entertain and hopefully inform people. The act of competition can be a great motivator and a great equalizer. Hopefully MLB seethe strength, committment and stamina I have not only for writing, but in life itself to give me a shot at this position. Hopefully one day I will be posting from the MLB office in NYC telling you about my wild first day. If not you can be sure I will be reading your first day’s adventures at the MLB Dream Job. Either way, I will comment, and live vicariously through your muses and writs during that entire year…You can count on it!